Park Forest, IL—(ENEWSPF)—October 22, 2012. Ever wonder what all those strange charges listed on your phone bill are for? Want to find ways to reduce your phone bill? Grab your phone bill and head over to the Park Forest Library, 400 Lakewood Boulevard, on Tuesday, October 23 from 1 p.m. to 3:00 p.m. when C.U.B. experts will conduct a free "Phone-Bill Clinic." Additional information on this event can be found in the ‘Arts & Entertainment’ section. The 32nd Annual All You Can Eat Spaghetti Dinner will be held on Sunday, October 28 in the gym of St. Irenaeus Church, 207 S. Orchard. If you have never experienced the ‘special’ spaghetti sauce, you are in for a real treat! Additional information about the event can be found in the ‘This & That’ section. Early voting will begin in Cook County on Monday, October 22 and end on Saturday, November 3. Early voting will take place at Park Forest Village Hall, 350 Victory Drive, from 9 a.m. to 5 p.m. Monday through Saturday during the early voting period. For a complete list of locations where early voting will be taking place, visit: http://www.cookcountyclerk.com/elections/earlyvoting. To find the locations of other early voting sites beyond Cook County, visit: EV_flyer.pdf. Be sure to exercise your right to vote in this important election. Keep in mind that you will be required to provide a government issued, photo ID to verify your identity. Hard to believe but the 39th Annual Farmers’ Market season comes to an end on Saturday, October 27. 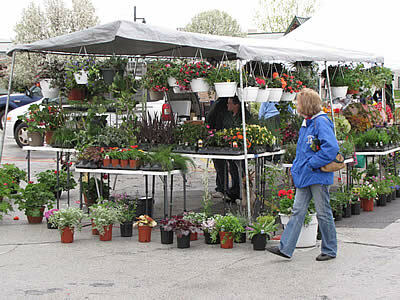 The Market will be held from 7 a.m. to 12 noon on the corner of Lakewood & Cunningham Drive. Park Forest Clerk Sheila McGann announces that petition packets are now available for Park Forest residents interested in running for the office of Village Trustee or Library Trustee in the April 9, 2013 election. The filing dates for those petitions are December 17 through December 24, 2012. There will be three (3) Village Trustees seats up for election and each has a four (4) year term. There are three (3) Library Trustees seats open, each for a six (6) year term. Please call Sandra Black at 708-283-5605 for more information. The Board of Trustees will meet on Monday, October 22 at 7 p.m. at Village Hall, 350 Victory Drive. Residents are encouraged to attend. Village Board meetings air live on cable access channels (Channel 4 for Comcast subscribers and Channel 99 for AT&T subscribers) as well as on the Village web site at www.villageofparkforest.com. The Park Forest Senior Citizen’s Advisory Commission is comprised of nine members, all of whom must be residents of Park Forest. Park Forest residents interested in serving on the Senior Citizen’s Advisory Commission may complete an application with the Village Hall, 350 Victory Drive. Appointments to the Commission are made by the Village Board for a term of three years. For additional information on applying and serving on the Commission, please call 708-283-5605. Park Forest’s 2012 Safe Halloween event ‘Halloween Spooktacular’ will be held on Wednesday, October 31 from 3 p.m. to 6 p.m. at Dining on the Green, 349 Main Street, in DownTown Park Forest. There will be a costume contest for all ages. You can enter raffles to win gift baskets, gift cards and more. There will also be food, prizes, you can vote for the winners for the Community wide Scarecrow contest, and much more. There will be an on-site pumpkin carving contest for the 1st 20 entries. Carving accessories will be provided. Bring your ideas. For additional information, call Evelyn Sterling at 708-283-5621 or email, [email protected]. The event is sponsored by the Park Forest Police, Park Forest Economic Development and Planning Department, and Park Forest Library. Children of all ages are invited to attend ‘Owls & Bats: Young Artists Scratch the Surface’ which will be held on Sunday, October 28 from 2 p.m. to 3:30 p.m. This class of artistic and spooky fun is for children who love nature and Halloween. Teacher and artist Pat Moore will help young artists capture the after-dark lives of owls and bats. Students will draft from nature, studying real taxidermy specimens to create their own high-relief scratchpaper scenes. Scratchpaper is made from paper covered with a thin layer of clay or chalk underneath a hard outer black coating. To create their owl or bat nightscapes, students will use special child-safe tools to chip away the black surface and expose striking lines of white and silver. Charcoal and other drawing supplies will also be available for creating different nighttime scenes. Participating children should be able to sit and concentrate for at least a half hour. All art materials will be provided and refreshments will be served. There is a fee of $5 per child. Registration is required by Friday, October 26. For additional information or to register, call 708-747-6320. PSC is hosting a Halloween extravaganza filled with popcorn, hay rides, carnival games, prizes and more on Wednesday, October 31 from 4 p.m. to 7 p.m. in the college’s gym. Halloween Family Fun Fest is free for children through age 12 and their families. All children must be accompanied by a responsible adult. Members of the Chicago Heights police and fire departments will also be providing information about fire and personal safety. For additional information, call 708-709-3500 or e-mail [email protected]. Monday, October 22 at 10:30 a.m. – Imagine! Create! Participate! This program is designed for children ages 3-5 and will include not only a story, but the use of their imaginations. It’s designed to help children develop their creativity while interacting and connecting to other children in the community. Monday, October 22 at 12 p.m. — Friends Book Discussion “Unsaid.” Discuss "Unsaid" by Neil Abramson. You may check out the book from the Patron Services desk three weeks in advance of the discussion date. The club will continue to meet the forth Monday of the month. Tuesday, October23 at 10:30 a.m. – Preschool Power. For children ages 3 to 5 years. During this 30-minute session, preschoolers will share stories, songs, music and age-appropriate books. Tuesday, October 23 at 6:30 p.m. — Pajama Time. For children ages 5-10. Wear your pajamas & come join us for stories, crafts & games. Tuesday, October 23 at 7:15 p.m. – Best of the Web. Find out about some of the best web sites around like Pinterest and others! Registration required. Wednesday, October 24 at 10:30 a.m. – Art Club (Ages 2 -3). Do you love art? Well this club is for you and all creative kids are welcome. Come on in and join the club where you can discover new books, make wonderful art and meet new friends. Wednesday, October 24 at 11:30 a.m. – Art Club (Ages 3 – 5). Do you love art? Well this club is for you and all creative kids are welcome. Come on in and join the club where you can discover new books, make wonderful art and meet new friends. Wednesday, October 24 at 4 p.m. – Art Club (Grades Pre-K – 3). Do you love art? Well this club is for you and all creative kids are welcome. Come on in and join the club where you can discover new books, make wonderful art and meet new friends. Wednesday, October 24 at 5 p.m. – Art Club (Grades 4 – 8). Do you love art? Well this club is for you and all creative kids are welcome. Come on in and join the club where you can discover new books, make wonderful art and meet new friends. Thursday, October 25 at 10:30 a.m. – Mother Goose Time. For babies ages 6 to 23 months accompanied by a parent or caregiver. During this 30-minute session, babies and their parents will share nursery rhymes, finger plays, songs, music and age-appropriate books. Thursday, October 25 at 11 a.m. – Tales for Two. For toddlers ages 2 to 3 years accompanied by a parent or caregiver. During this 30-minute session, babies and their parents will share stories, songs, music and age-appropriate books. Thursday, October 25 at 4 p.m. – Microsoft Word Practice. The first ten people to come may attend these practice sessions. There is no registration for the practice sessions. Thursday, October 25 at 6:30 p.m. – Family Game Night. Parents and caregivers are welcome to join the fun on this special night once a month! Friday, October 26 at 1 p.m. – Senior Travelogue. Featuring New Zealand. Friday, October 26 at 2 p.m. – Learn to Use Your Kindle Fire. Bring in your device to learn the basics of using it and accessing the library’s digital titles. Registration required. Friday, October 26 at 3 p.m. – Wii Game Day. Meet up with your friends at the Park Forest Public Library for some gaming fun. The library will provide some games — YOU bring a friend. If you have a favorite game, bring it along to teach and share. Join us after school as we take a little time to have some fun! Grades K-8. Saturday, October 27 from 10:30 a.m. to 4 p.m. – Halloween Film Fest. The classics will be featured in during this not-so-spooky film fest. There will also be crafts to take home. All Ages. On Tuesday, October 23 from 1 p.m. to 3:00 p.m. in the Ringering Room, C.U.B. will conduct a free "Phone-Bill Clinic." There is no registration required to attend. Bring your phone bill and a C.U.B. expert will sit down with you one-on-one, explain all the confusing charges and give you money-saving tips. Many people learn how to cut their calling costs by about $200 a year. On Thursday October 25th at 10:30 a.m. the Potpourri of Lectures Series continues with “Chinese Art and The Chinese Museum” by Yuan Liang. The lecture will be held in the Library’s Ringering Room. Please plan to join us for some enlightening conversation. Light refreshments are served. On Friday, October 26 at 7 p.m., Child’s Play Touring Theatre of Chicago will present ‘Kids for President.’ This show, timed to coincide with children’s election year curiosity and excitement, runs the gamut from silly to serious with campaign speeches, suggestions for improving the world, and kids’ own ideas on what it’s like to be the President. This show will win the hearts and votes of both children and adults. Tickets are $8 and can be purchased online at www.freedomhall.org, by phone at 708-747-0580 or in-person at the Box Office. On Friday, November 2 at 7:30 p.m., C.J. Chenier & the Red Hot Louisiana Band will take the stage at Freedom Hall. C. J. Chenier, son of the “King of Zydeco” Clifton Chenier, joined his father’s Red-Hot Louisiana Band playing saxophone at the age of 1. After Clifton’s death in 1987, C.J. picked up the accordion and took charge of his father’s ministry – to spread the word of Zydeco music to the world. The Boston Globe has called him “the crown prince of Zydeco,” and Living Blues magazine hails him as “the best living Zydeco singer and accordionist.” His musical style range from the traditional Zydeco of Clifton Chenier right on up to modern funk with healthy doses of blues, R&B, swamp pop and even country. Tickets are $24 and can be purchased online at www.freedomhall.org, by phone at 708-747-0580 or in-person at the Box Office. ‘Spirits, Saints, and Souls,’ running through November 11, is an invitational exhibit that will explore some of the many interpretations of the theme. Instead of an opening reception, on October 28, from 7 p.m. to 9 p.m., lead artist Sergio Gomez will do a moving performance piece in which he will create a large-scale charcoal drawing while Erica Lessie plays the cello. This is the first time a Tall Grass exhibit will include performance art. The exhibit is free and open to the public. For additional information and Gallery hours, call 708-748-3377 or visit http://www.tallgrassarts.org. On Tuesday, October 30 at 7 p.m., the United States Army Field Band, one of the most versatile and inspiring musical organizations in the world, will present a free concert. 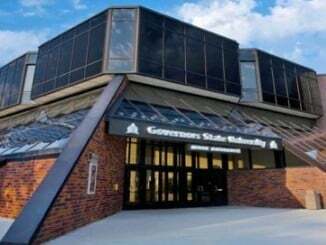 The program at GSU will include a mix of marches and patriotic music, classical selections, and music by popular songwriters like Stephen Sondheim and Barry Manilow. The Field Band will be accompanies by the 29-member Soldiers’ Chorus, a mixed choral ensemble that travels throughout the nation and abroad, performing as a separate component and in joint concerts with the band. Tickets are limited to 4 per household. For additional information or to reserve tickets, visit www.centertickets.net or call the box office at 708-235-2222. ‘8,’ a production of the Southland Area Theater Ensemble (SLATE), chronicles the historic trial in the federal constitutional challenge to California’s Proposition 8, is coming to GSU for two performance in Sherman Hall, at 8 p.m. on Thursday, October 25 and Friday, October 26. The play is being presented with license from the American Federal for Equal Rights (AFER). The play is an unprecedented account of the Federal District Court trial in Perry v Schwarzenegger (now Perry v. Brown), the case filed to overturn Proposition 8, which stripped gay and lesbian Californians of the freedom to marry. Following both performances of the play, GSU Provost Terry Allison will lead a panel discussion on civil discourse, civil rights, and marriage equality. Admission to ‘8’ is free with reservations. To reserve tickets, contact the GSU Center for Performing Arts at www.centertickets.net or call 708-235-2222. Tickets are now on sale for [title of show] which will be performed by the SLATE ensemble on Saturday, November 3 at 8 p.m. and Sunday, November 4 at 4 p.m. Two nobodies decide to write an original musical, and to their surprise, it becomes a Broadway hit. Tickets are $27. 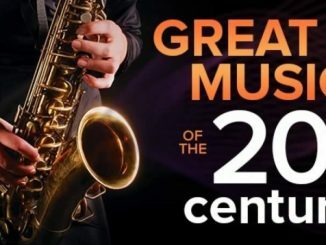 For additional information or to purchase tickets, visit www.centertickets.net or call the box office at 708-235-2222. ‘Narrative’ an exhibit to celebrate Chicago Artists Month runs through November 1. The exhibit is featuring the works of three prominent Chicago artists whose works have been shown and are owned by the Art Institute of Chicago, the Museum of Contemporary Art in Chicago, the Whitney Museum of American Art and Museum of Modern Art in New York City, as well as other prominent museums and galleries. Biographies of the featured artists can be found at www.prairiestate.edu/artgallery. The exhibit is free and open to the public. PSC’s Christopher Art Gallery is located on the main campus, 202 S. Halsted Street and is open from 9 a.m. to 3 p.m. Monday through Thursday, and 5 p.m. to 7 p.m. on Wednesday and Thursday. Visits can also be made by appointment. For additional information about the exhibit or to make an appointment for a visit, call 708-709-3636. ‘Stranded,’ an exhibit featuring the works of artists Sherri Denault and Margie Glass-Sula, will run through November 4. The exhibit is free and open to the public. For additional information or Gallery hours, call 815-464-8818 or visit www.monkeymindartstudio.com. GSU’s Political and Justice Studies Program and the Consortium for Civic Engagement are co-sponsoring a second community forum on Monday, October 29 from 5 p.m. to 7 p.m. in Sherman Hall. ‘Issues of the 2012 Election’ will be discussed by panelists Dr. Larry Levinson, professor of political science; Dr. Donald Culverson, associate professor of political and justice studies; Dr. Chelsea Haring, assistant professor of political science; and Dr. David Golland, assistant professor of history. The forum is free and open to the public. One of the nation’s leading social and artistic voices, Nikki Giovanni, will present “The Courage of Equality: Love, Work, Society” at GSU’s Center for Performing Arts on November 7 at 6 p.m. Immediately following the lecture, Giovanni will take questions from the audience. There will be a book signing after the presentation. Giovanni is a noted poet, writer commentator, activist, and educator. Her work has been strongly influenced by issues related to social justice and civil rights. In addition to the presentation by Giovanni, the university is also hosting a book discussion of “Quilting the Black-Eyed Pea” by Nikki Giovanni at 3:30 p.m. on November 7 in Engbretson Hall. Members of the panel include Dr. Christopher White, Assistant Professor of English and Dr. Elizabeth Johnson, Assistant Professor of History. Dr. Rashidah Muhammad will serve as moderator. Dr. Muhammad will also lead students in a choral reading of the title poem. Individual students will read selected Giovanni poems. Refreshments will be served. Both the Giovanni presentation and the book discussion are free and open to the public. For additional information or to register, call 708-534-4024 or visit http://nikkigiovanni.eventbrite.com. Online college programs are a great way for today’s busy people to complete or earn a degree. To find an online college program in Illinois, visit guides/Illinois/ where you will find a compilation of every college program offered online in Illinois offered on a full or part-time basis. If you ordered bird seed to help support TCAS’ environmental projects in the south suburbs, be sure to pick it up on Saturday, October 27. Orders can be picked up from 9 a.m. to 12 noon at the Park Forest Aqua Center, 30 North Orchard Drive (directly north of the Park Forest Library). All orders MUST be picked up on October 27. If you cannot be there, please make arrangements for a friend or neighbor to pick up your seed order. On Saturday, October 27 at 7 p.m., UUCC will screen the documentary film ‘Food Matters.’ A discussion will follow the film. The film exposes a growing body of scientific evidence providing that nutritional therapy can be more effective, more economical, and less harmful and less invasive than most medical treatments. ‘Food Matters’ encourages and inspires us to eat a more healthy diet. Free coffee, tea and popcorn will be provided. Optional donations will be gratefully accepted. For additional information, call 708-481-5339. St. Irenaeus Parish’s 32nd Annual Spaghetti Dinner (all you can eat) will be held on Sunday October 28 from 3 p.m. to 6 p.m. in the gym. Menu includes spaghetti and meat balls in ‘special ‘sauce, bread and butter, salad and a dessert table. Tickets are $10 for adults and $3 for children under 12. Pop, beer and wine will also be available for an additional charge. Tickets can be purchased at the door or at the church rectory. For additional information, call 708-748-6861.